Time for England to take a chance on Ruddy? Thomas Rooney takes a look at the options England may have between the sticks next summer. With all of the teams taking part in the European Championships next summer decided, it seems fair to say that more and more attention will be placed on odds for euro 2012 over the next few months. Fair enough, the majority of people’s priorities are on club matters at the moment and rightly so. For example, if you asked me right now whether it would be my preference for Norwich to stay up or England to become European Champions next summer, there is only one answer and it involves a team in yellow and green being in the top flight next year. This isn’t to say I am one of those ‘I don’t care about England’ types. Far from it. I am a passionate England supporter and always will be. The club v country row is of course one that can take up much discussion, but why do they have to be mutually exclusive? I’m as passionate a Norwich fan as you can get, but will I be supporting England next summer and either be gutted or elated at their performance? Of course. Anyway, let’s get back to the topic I actually wanted to talk about. Funnily enough, it combines Norwich and England with the secret ingredient a certain Mr John Ruddy. The Canaries keeper has been incredible so far this season and in fairness, was excellent in the Championship last year too. The save late on against Liverpool at the weekend may well be his most high-profile success, but in truth, he has been on top of his game for a few months now. So, to recap, this is a 25-year-old English goalkeeper excelling in the Premier League. What does this mean? Surely an England call-up? It seems fair to say that England aren’t blessed with options in the goalkeeper department at the moment. In the last squad the three goalkeepers were Joe Hart – quite rightly he is the stand out No.1 – Scott Carson and David Stockdale. Now, in my opinion, Ruddy should be ahead of the latter two. Carson has been tried and tested a few times and let’s face it, hasn’t exactly set the world alight. He doesn’t seem mentally cut out for international football and it seems only fair that Ruddy is given the nod for the friendly matches against Spain and Sweden next month. As for Stockdale, well, he plays in the Championship for Norwich’s rivals (in a geographical sense only at the moment) Ipswich Town. Need I say more? Ruddy – who is in-form and part of a Premier League side – surely deserves some recognition? It would be interesting to hear whether it is my yellow and green tinted glasses that are helping me cast my opinion. Who has seen Ruddy play? Who rates him? Who would like to see someone new given a go as one of Hart’s reserves? 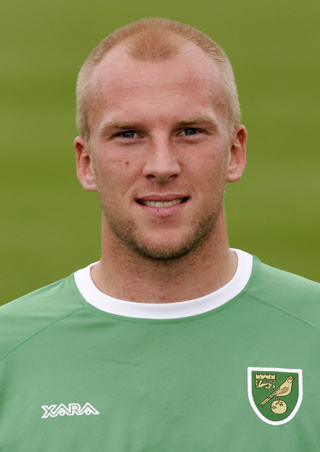 This entry was posted in Barclaycard Premier League and tagged England, John Ruddy, Norwich City. Bookmark the permalink. I said to a Norwich-supporting mate of mine a month or so back that John Ruddy must stand a chance of England recognition if he has a decent season, in the main due to a lack of competition. I can see it coming sooner rather than later.